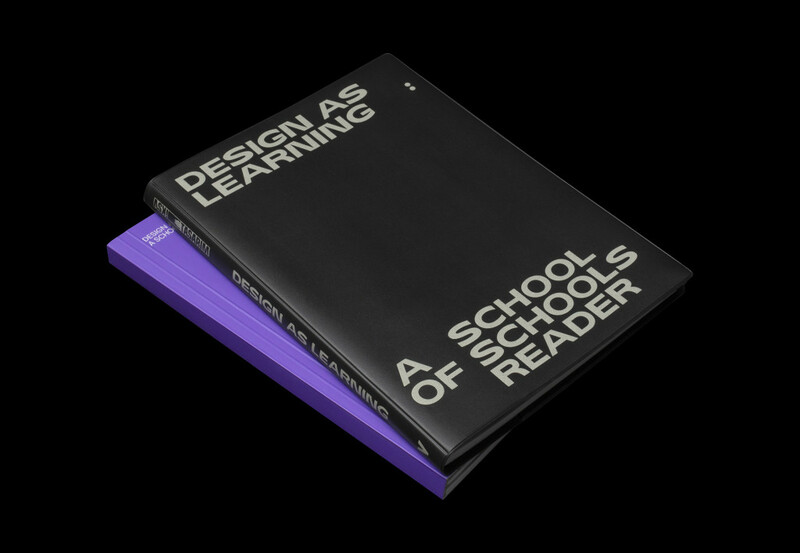 Design as Learning: A School of Schools Reader, designed by Offshore Studio and published by Valiz. Image by Offshore Studio. Why do design? What is design for? These are forward-looking questions for a creative discipline that seems more slippery to define than ever. In a world of dwindling natural resources, exhausted social and political systems, and an overload of information there are many urgent reasons to reimagine the design discipline, and there is a growing need to look at design education. Learning and unlearning should become part of an on-going educational practice. We need new proposals for how to organise society, how to structure our governments, how to live with, not against, the planet, how to sift fact from fiction, how to relate to each other, and frankly, how to simply survive. 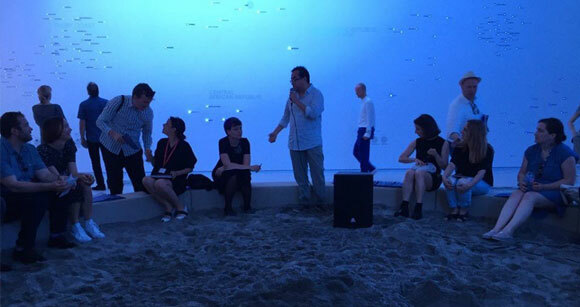 The 4th Istanbul Design Biennial, and this publication Design as Learning ask: can design and design education provide these critical ideas and strategies? 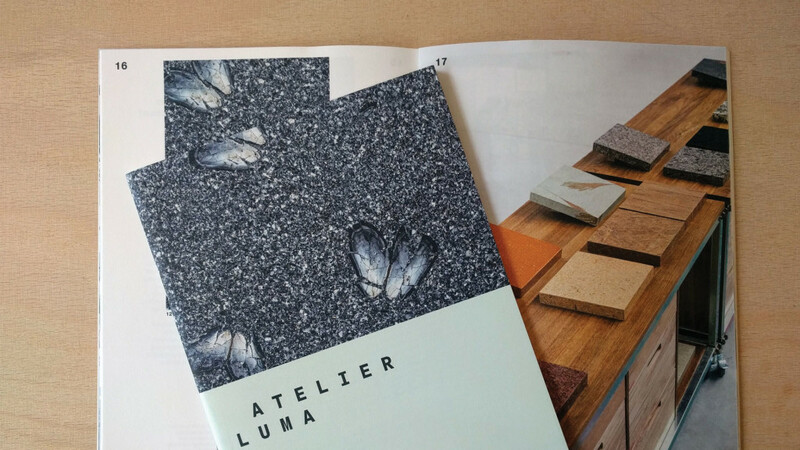 The Atelier LUMA brochure, distributed this year during Milan Design Week at the Palazzo Clerici. During the 2018 Milan Design Week, Atelier LUMA took over the courtyard of Palazzo Clerici, where, in four different studiolo structures, it presented recent outcomes of the material exploration and research they are actively conducting in Arles, in the South of France. I was happy to have worked on the project’s brochure, which was presented in Milan for the first time, and with a wonderful design by Andrea Anner, will continue to serve as a fantastic visual and conceptual introduction to the large-scale intervention that is taking shape in Arles. 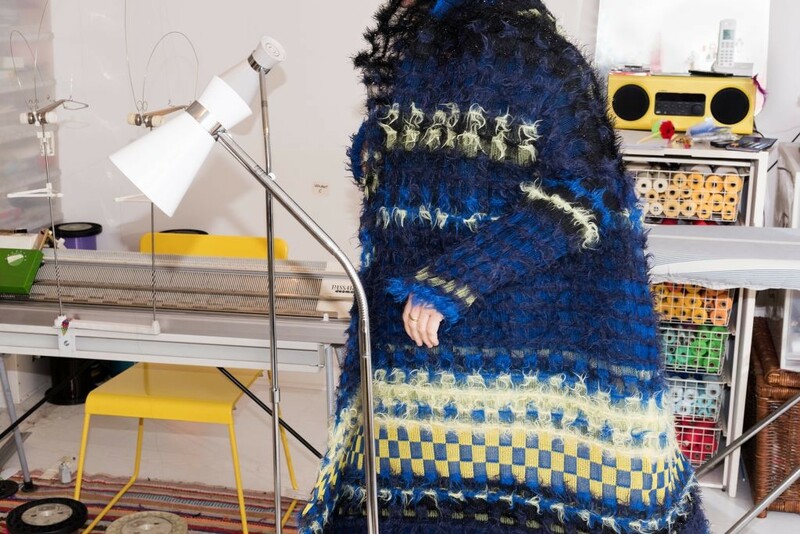 If you don’t follow the journey of Atelier LUMA, I warmly invite you to find out more on their website. 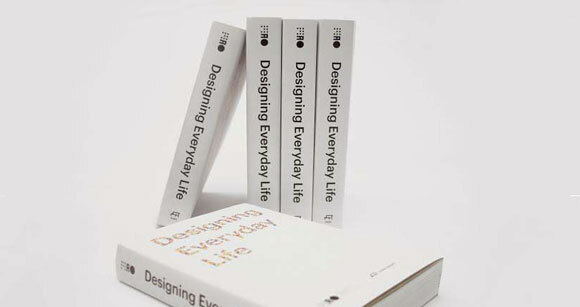 As part of BIO 50, the 23rd Design Biennial in Ljubljana, I edited Designing Everyday Life, a publication that accompanied the six-month collaborative process that was at the core of the event, while simultaneously reflecting on the state of contemporary design and contemporary design events. 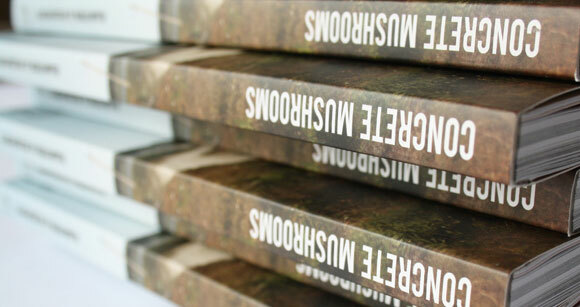 With contributions by Jan Boelen, Alice Rawsthorn, Justin McGuirk and David Crowley, among others, the book combines essays, interviews and follows the 11 teams that were brought together by BIO 50, from the kick-off to the materialization of their projects. It was truly a pleasure to work on such an ambitious project. Below a few excerpts of praise for the book. 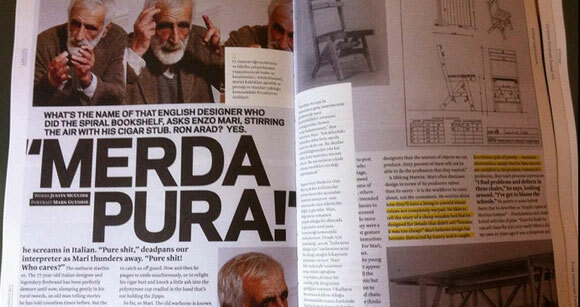 The July/August 2013 issue of Domus marks my departure from the magazine, after a year and a half of intense learning and a lot of fun. It was an honour, a challenge, and an immense pleasure to work under editor-in-chief Joseph Grima and the Domus editorial team — among which Marco Ferrari and Fabrizia Vecchione—, creating a magazine and a website that truly captured the contemporary. Personally, this period marks my most intense professional growth thus far, and I couldn’t be more thankful for the opportunity. For the moment, find all my collected writings at Domusweb here. And now, on to the next challenge! In order to celebrate the opening of Adhocracy at the New Museum, in New York, below is the essay Avinash Rajagopal and I wrote for the exhibition’s catalog, introducing the volume’s intentions and structure. 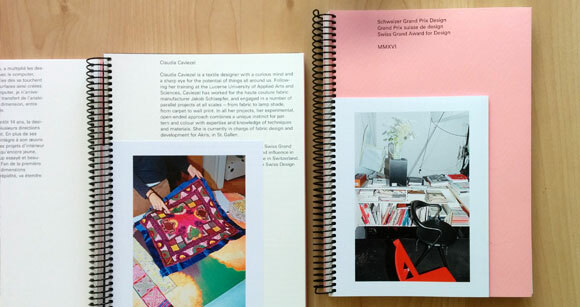 The catalog is available at the New Museum store. 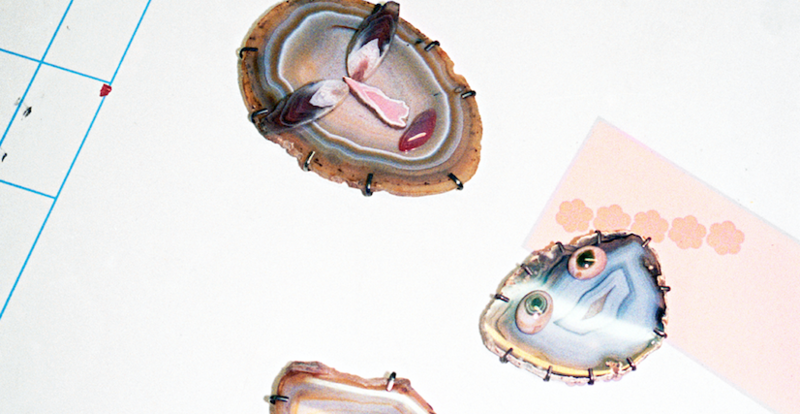 Make sure to visit the show, which will be on through 7 July at Studio 231 at 231 Bowery. At first glance, what does a film about superannuated gardeners in Barcelona have to do with 3-D printed ceramics from Antwerp, or an open-source tractor built on a farm in Missouri? The many manifestations of adhocracy—the conviction that societal change can come out of small interventions, little subversions, and closely-knit communities working without the aid of the powers-that-be—can be surprisingly, and affirmingly, diverse. If only all these local agents who create tirelessly within their own online and offline communities could speak to each other, then a powerful new mode of creativity could take over the world—or at least that is the dream. During June and July 2012, I copy-edited and helped Elian Stefa finish the book Concrete Mushrooms: Reusing Albania’s 750,000 Abandoned Bunkers, which was then published by dpr.barcelona in August 2012. The book, in Albanian and English, traces the history and fascinating “bunkerization” of Albania during the last years of Enver Hoxha’s dictatorship, and proposes a series of uses for these now discarded military structures. The project was originally started as a research project at the Politecnico di Milano. In August 2012, Concrete Mushrooms was also one of the initiators of Concrete in Common, an exhibition at the Kunst Raum Riehen, in Basel, Switzerland — which I reviewed for Domusweb —, and was presented as one of the projects in the Albanian Pavilion at the 13th International Architecture Exhibition — Venice Biennale 2012.